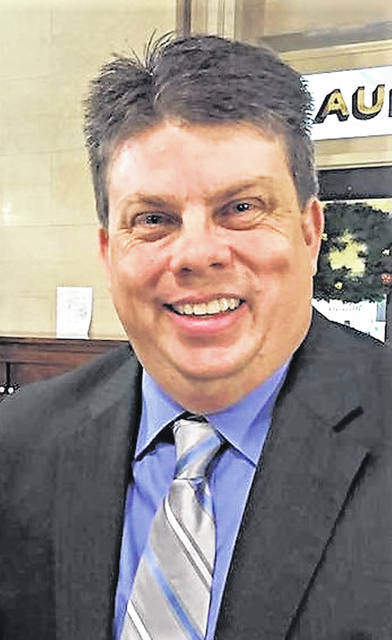 Scioto County Comissioner Bryan Davis released a statement following Tuesday’s primary election thanking his supporters for allowing him to again secure the Republican nomination for Scioto County Commissioner. “I want to personally take time to thank the voters, and all my supporters and family, for helping me win the Republican nomination for a second time. We had the highest vote total of any candidate running,” Davis said. “To the voters of Scioto County who voted for me, thank you. Representing the citizens of Scioto County means the most to me, and it has been an honor to serve you. Much progress has been accomplished in the last three-plus years, but my mission is not complete. While many promise to deliver results, I have delivered results,” he said. “When I ran for office in 2014, I promised to keep our county fiscally strong, grow our economy and build relationships that would ultimately strengthen our area. I have done that. Our fiscal status is healthy. We’ve built a strong carryover and reserve that caused the Ohio State Auditor to call us ‘the Comeback County.’ We take our job of balancing the county’s budget and removing wasteful spending seriously, all while continuing services for our citizens,” he said. “I’ve worked to build new infrastructure, to attract new jobs, and assist existing businesses and innovation. I have seen our unemployment levels decrease nearly half, and our sales tax revenue climb to levels not seen before. Community clean up by removing blighted houses and litter to create an appealing environment has been critical to build community pride and visitor attraction. These are clear signs of economic growth. ”I’ve diligently worked to build relationships from the courthouse to the White House. I have represented you well in Columbus and Washington to further our mission for the people of Scioto County. With local and regional leaders, I continue to bring communication and teamwork to the table for growth. Our mission is not accomplished, as much work is left to be done. With your support and God’s help, I will continue the fight in my next term along with a great deal more. Our area faces great challenges. Among those challenges are the opioid epidemic and foster care of our children. Many times these two issues are linked, but we must find new, innovative solutions to address them. I plan on working to gain funding and support for new paths forward. I believe the solution is around the corner, we just have to come together to unlock the potential of our people. Together, we are #SciotoStrong,” Davis concluded. Davis will face Democrat Trampas Puckett in the Nov. 6 General Election. Multiple attempts to contact Puckett to solicit quotes for this article were unsuccessful.